A first look at The Japanese Garden book cover. Photograph courtesy of Phaidon. 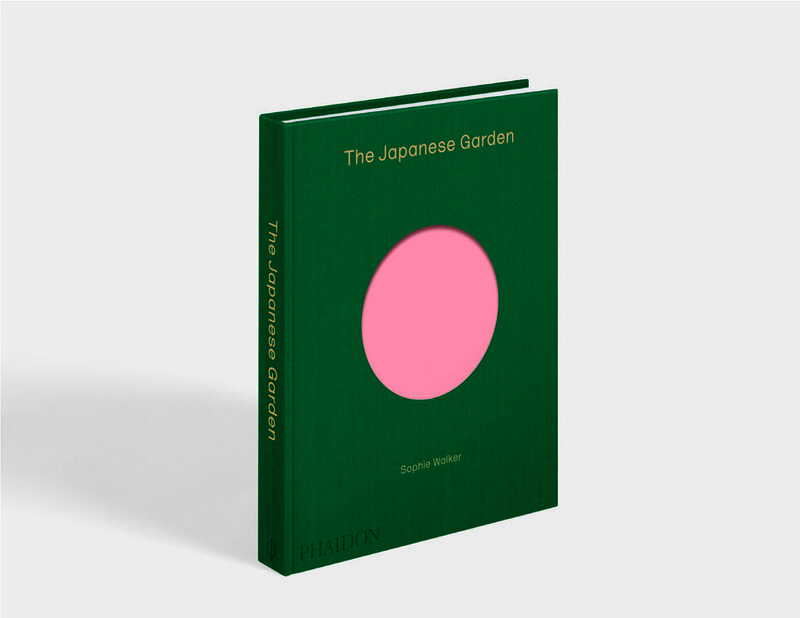 Phaidon’s latest offering, “The Japanese Garden” is an in-depth exploration of the art, beauty, and cultural significance of the Japanese garden through the ages. Written by author and horticulturist Sophie Walker, “The Japanese Garden” offers a collection of thematic essays on the often nebulous concepts behind Japanese garden design, laid out alongside stunning images of gardens. Personal perspectives by leading practitioners like Lee Ufan and Tadao Ando are peppered throughout the book, along with a specially commissioned photographic appendix of the key plants traditionally used in Japanese gardens. It is also a beautifully designed book, with a textured cover that reflects the peace and serenity of the gardens found within its pages. In the following excerpt, Walker explores the concept of reflection as a principle that is elemental in the design of a Japanese garden. It is a scene that might be seen in many Japanese gardens: beside the garden pond, an ancient tree leans over the mirror of water, joining with its own reflection. In this meeting between material tree and immaterial reflection, the two are joined as balanced opposites, coinciding in mutual existence. In Asian culture, opposites and counter-forces are revered as the source of great power, and the Japanese garden is filled with balanced counterparts that are dependent on one another as they act in conjunction. “When heaven and earth do not intermingle, beings are not great,” taught the Zen master Huanglong (1002-69) in the eleventh century. It is the purpose of the Japanese garden to bring together the earthly garden space with the realm of the infinite world, the manifest with the hidden. The whole exists only with the mutual reinforcement of duality: ‘being’ and ‘non-being’, good and evil, destiny and free will, heaven and earth, birth and death, time and void, ‘I’ and ‘not-I’, the artificial and the natural. If one is soft, the other is hard, one negative, the other positive, the light male and the dark female, the active and the inactive. In their unity, counter-forces and counter-objects reveal the oscillations between the forces of world existence. From the earliest text on garden-making, the Sakuteiki, written in the late eleventh century, it is clear that the Japanese garden has always been conceived as a balance between the earthly and the heavenly, between natural and human-made beauty. It is the first duty of the garden-maker to recognize the power of beauty in nature and to create the garden as a platform for its appreciation. Since the primary aspiration of the garden-maker is to produce an art of reflection in the visitor, a mirror pond (kyoko-chi) resides at the heart of many Japanese gardens. Its surface is home to an active, living reflection of the surrounding garden, which at times looks almost real, filled with fleeting images. In Buddhist understanding, reflection is not simply a two-dimensional image, but a representation of the deceptive idea of ‘reality’, an illusion that prevents insight into the true nature of things. Reliant on stillness, the watery reflection of a pond is fragile and constantly threatened. At any moment, wind or rain might unmake the scene completely, shattering the image into a scene of chaos in which no clarity or order is possible, while in winter the pond might become frozen with ice and snow. Solid and unreflective, the surface ice is water turned white and transformed. The Japanese garden pivots on the possibility of transformation. The garden is ever-changing; what the visitor has seen before will not be seen again. WORDS BY SOPHIE WALKER, EXCERPTED FROM "THE JAPANESE GARDEN"